Dwyane Wade’s effort in his final appearance in Toronto was not enough to beat the Raptors, as they fell on Sunday evening by a score of 125-115. Wade came off the bench to score 35 points in 34 minutes. Josh Richardson scored 19 points, while Bam Adebayo collected more rebounds than he scored points, recording a double-double with 21 boards and 16 points. Kawhi Leonard scored 29 points and grabbed 10 rebounds to record a double-double. Pascal Siakam scored 21, Jonas Valanciunas also recorded a double-double with 17 points and 10 rebounds. The Heat were caught conceding easy buckets from touchdown passes via Kyle Lowry on a few occasions. Jonas Valanciunas has proved that his determination for winning is the same whether he is starting or coming off the bench. Pascal Siakam is continuing to make plays on both ends of the floor, making his case for most improved player. After Sunday’s game, Toronto has gone 10-4 in their last 14 meetings with Miami, winning six and losing just one at home. Kawhi Leonard responded to comments from his former coach, Gregg Popovich in his post-game interview. Popovich had said that Kawhi was a great player, but was not much of a leader. The Raptors travel to Tennessee on Tuesday where they will face the Memphis Grizzlies at the FedEx Forum. Tip-off is set for 8 p.m. 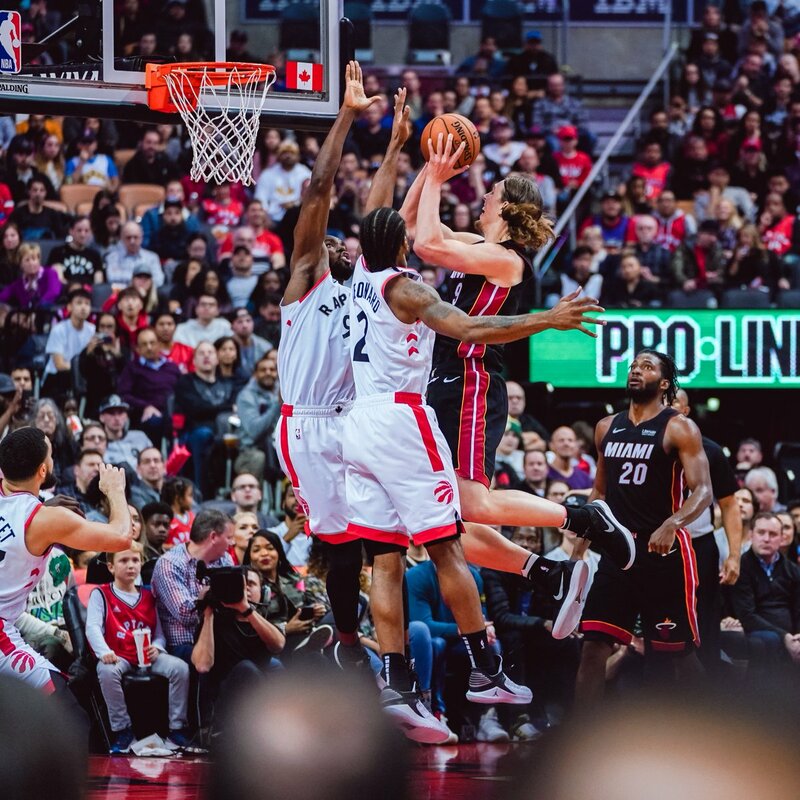 Featured image from Toronto Raptors.